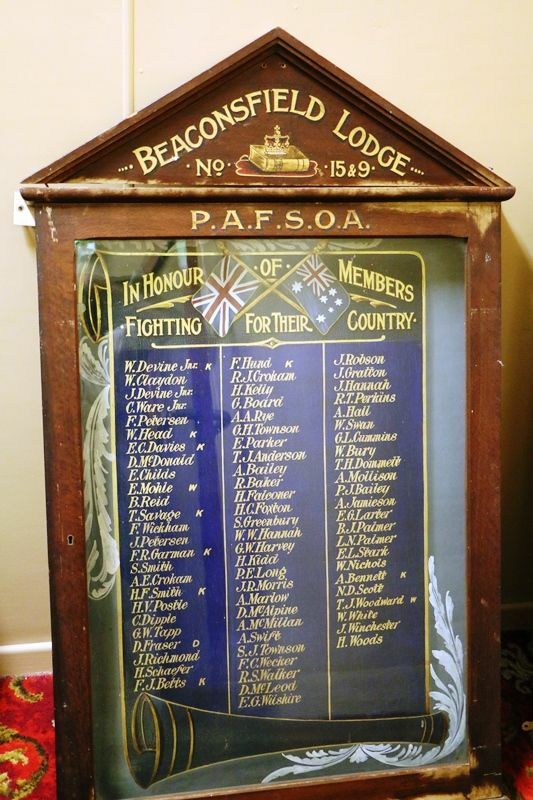 A wooden honour roll commemorates members of No. 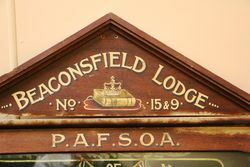 15 & 9 Beaconsfield Lodge who served in World War One. The Beaconsfield Branch of the Protestant Alliance Friendly Society held its fortnightly meeting on the 28th ultimo. 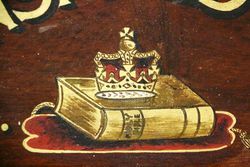 The 'Roll of Honour' — an artistic production issued by the Grand Council of Queensland — was on view and favourably commented upon. 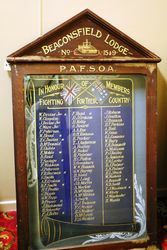 A copy is being posted to every member who enlisted, and other members can purchase one from their secretary. Darling Downs Gazette (Qld), 8 May 1920. P. A. F. S. O. A.